I was browsing the NJ List today and lit up after seeing a post from Shari Zirlin (Thanks Shari!) 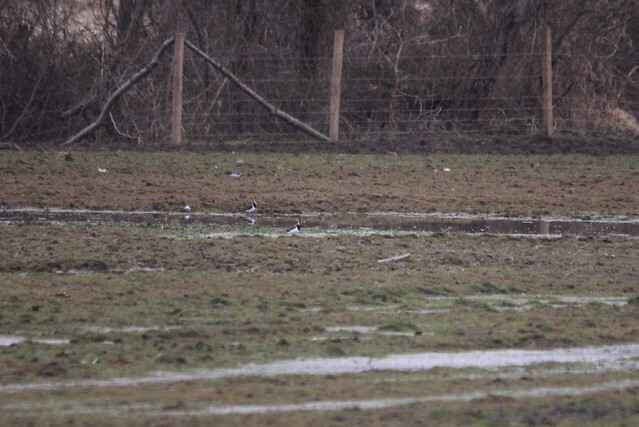 report not 1 but 3 Northern Lapwings in New Egypt, New Jersey! I had struck out on the one in MA last month so I had to try for these guys. 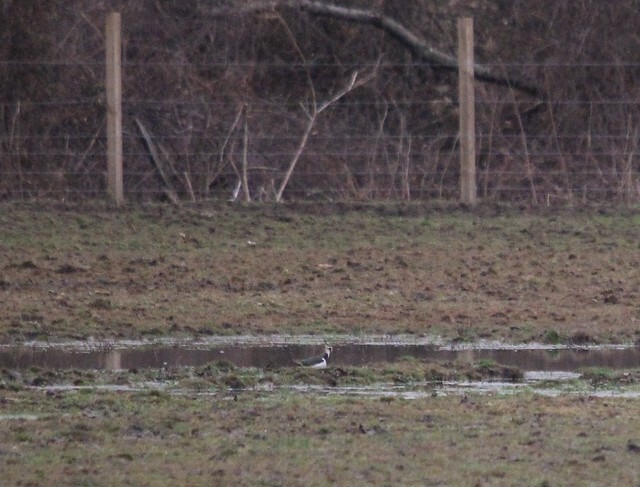 When I got there a line of birders were enjoying the three birds in the back (WAY back, as evidenced in the badly cropped photos) of a muddy field along with two Sandhill Cranes in the field next to it! Thankfully scope views were much better and I watched the birds for some time. Awesome bird! With some vacation time left to use or lose with work, I decided to try for some of the recent rarities reported in/near Cape May. 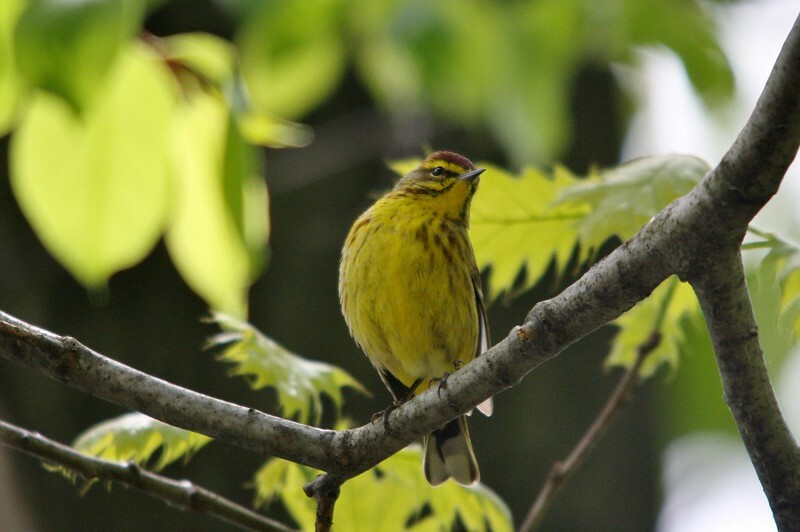 I started the morning off at Cape May Point looking for the on-going, rare western visitor, Townsend’s Warbler. A couple laps around the Yale block and I finally got a nice look at it in the entry way parking lot right across from the lighthouse. It didn’t stay long and I was bummed not to get a photograph (I stayed for quite a while after trying to re-find it with no luck) but excited to actually see it. Then, I headed towards the beach by the St. Mary’s dune platform to look for a reported King Eider. I hadn’t seen King Eider in NJ, and the previous day also had reports of Dovekie and Razorbill from this location, so my interest was high. The King Eider (along with 4 other Eider) was drifting not far off the beach when I arrived, and there were a group of sea watching birders all heavily scanning the horizon. Apparently, a possible Pacific type Loon was seen before I got there and birders were hoping it showed again. While there, I saw quite a few Razorbill (at least 5 in the short time I was there) while a mentioned total for others was in the 20s . I also got a good look at a Black-legged Kittiwake (others there had seen 3-5, and this was the only one I have ever seen from shore) in the distance approaching a fishing boat along with quite a few Red-throated Loon and Scoter. 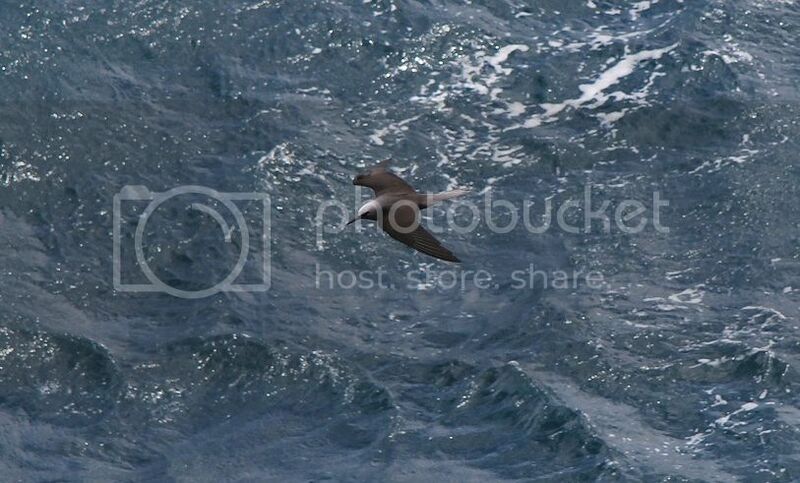 We also had an interesting event with a dark bird that apparently died or was injured that sort of spun and landed that proceeded to float past our location. No one was quite sure what it was but it could have been an alcid or a land bird of some sort even. 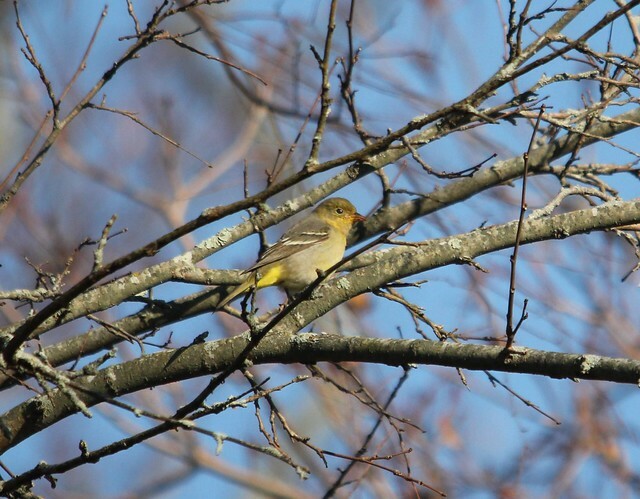 Finally, I headed out of town and decided to stop by Cape May Courthouse for a reported Western Tanager. 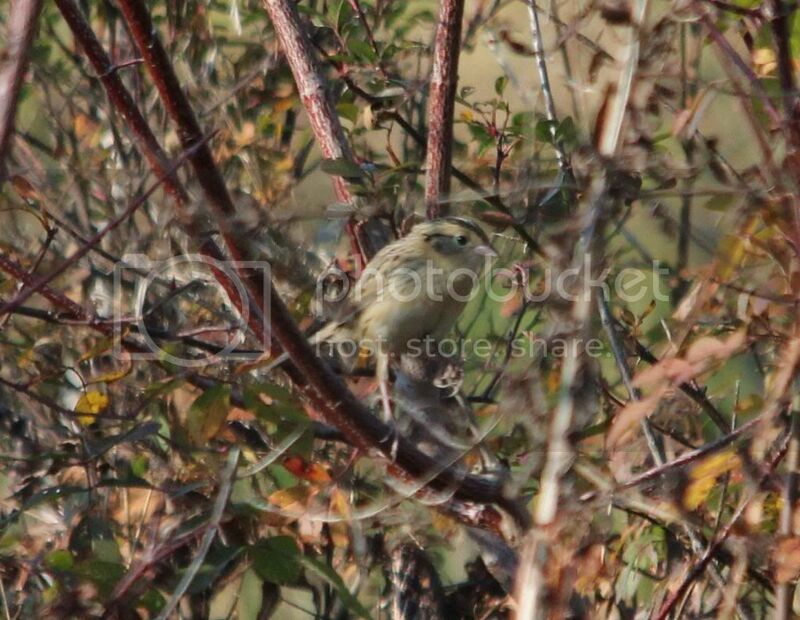 When I arrived the bird had been seen but it was mentioned that this might be a second bird as it was a female or at least, not the bright male that others had seen. I actually got to see both birds actually with the bright male working a tree right by the intersection of West Hand and Dias Creek Road. Awesome! 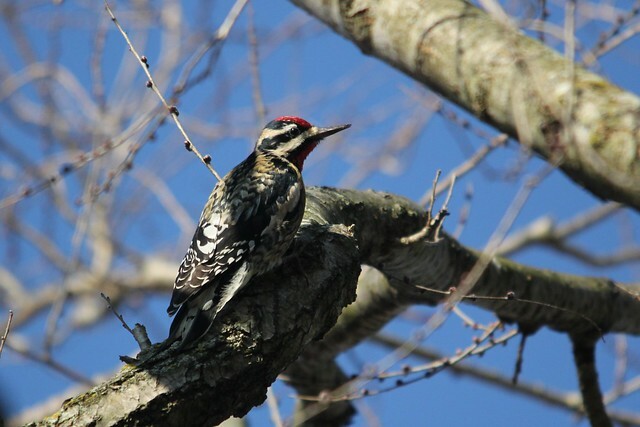 Also had two Yellow-bellied Sapsuckers working the same tree. 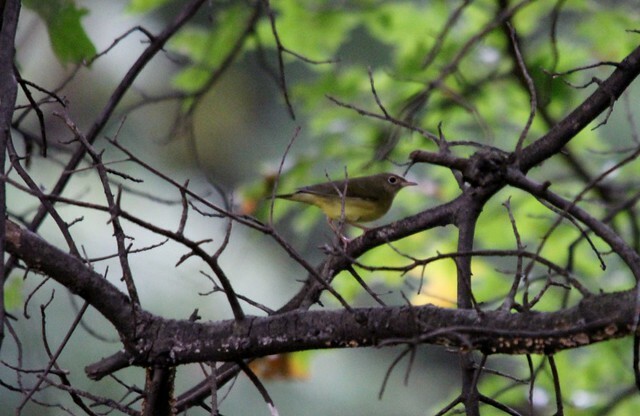 Not a bad day at all thanks to good info from NJ Birders! 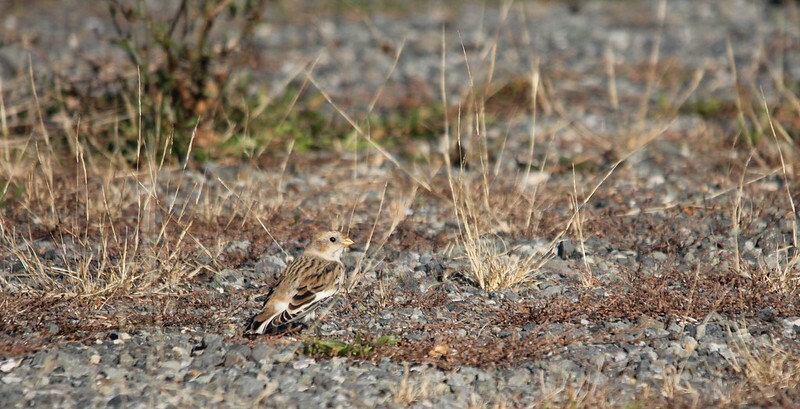 One of the most reliable, and my favorite spot in New Jersey to see flocks of Snow Bunting and Horned Lark, is during late fall/winter in the Boat Launch parking lot at Spruce Run. 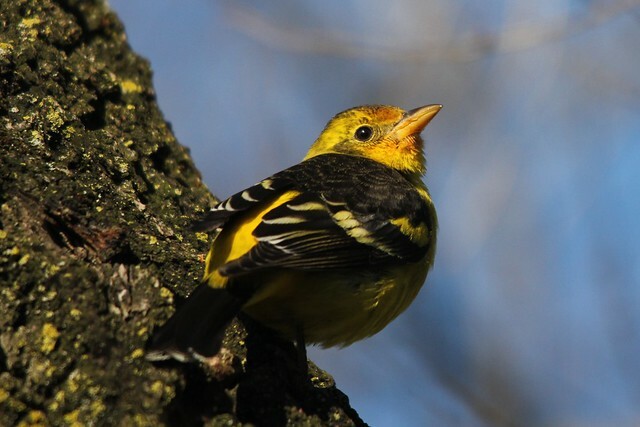 Right off of Van Syckel’s Road, in Clinton New Jersey, the gravel parking lot at the end of the boat ramp road is a perfect spot to find foraging flocks of the birds as they pick through the it’s contents. The surrounding sandy areas around the parking lot also are good spots to look. Always keep an eye out for the odd gull or Grebe and American Pipit as well. Six years running these guys have shown for me. 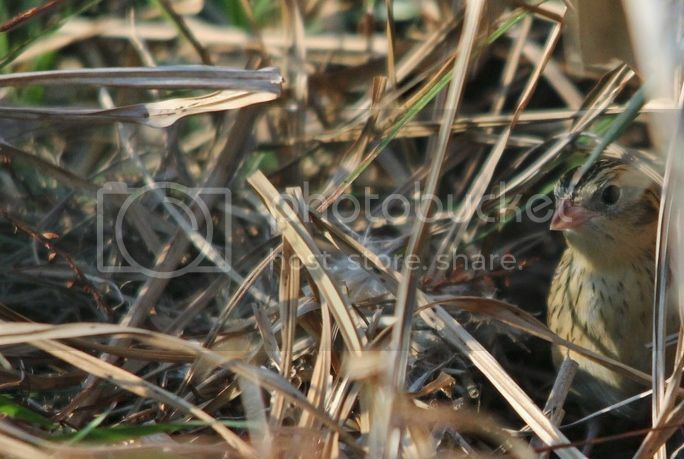 There was a reported Le Conte’s Sparrow in Hopewell Township, New Jersey. The birds, like mice in the grass, creep slowly along through vole tracks or clumps of grass. 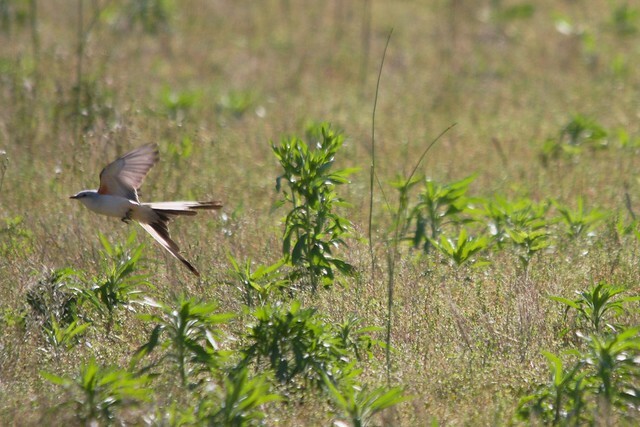 We were lucky enough to get to see the bird and this wonderful habit! Awesome bird! 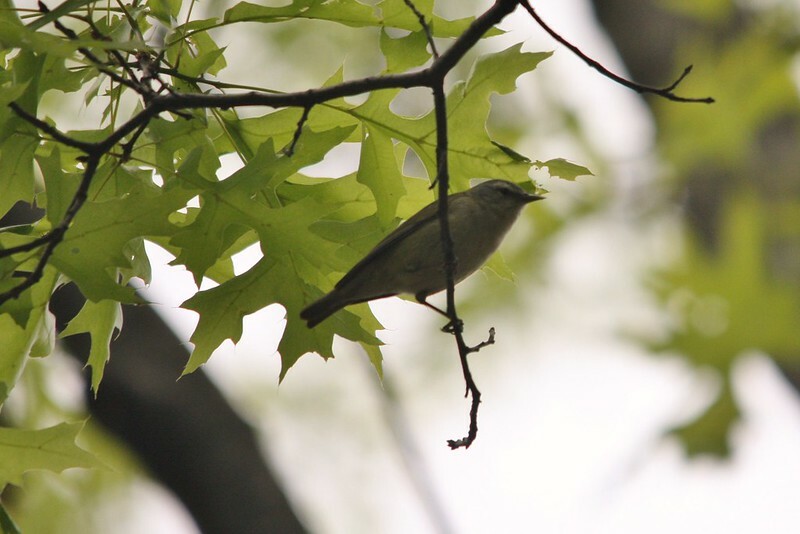 I finally got to see a Connecticut Warbler @ Glenhurst Meadows this afternoon. Lifer for me! Awesome bird that I have looked for many a time. They will most often stay down in grass or under-story, so it takes luck and timing (like in this case) to get a decent look. Nice! It is not often you get to fulfill a lifetime dream. Not often enough for sure. Jeanette and I had just that opportunity this September when we planned a trip to Hawai’i! After some deliberation we decided to focus on the two islands of Hawai’i (the Big Island) and Kaua’i. 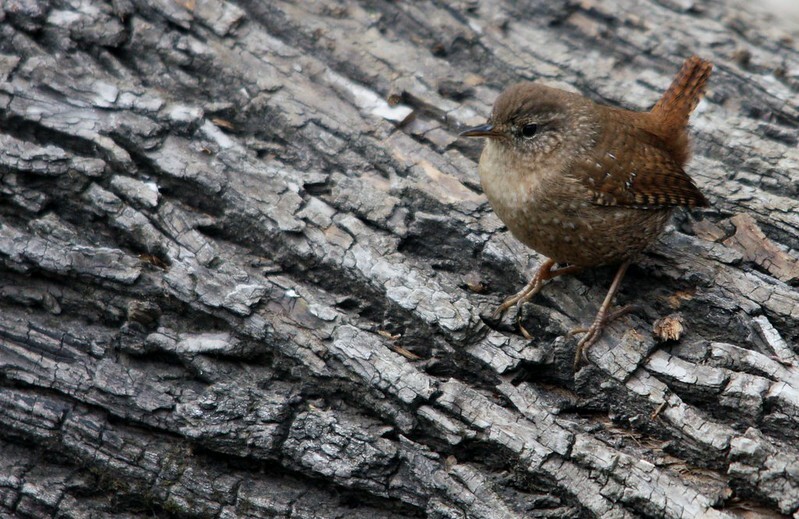 The choice was difficult due to the variety of endemic birds spread across the islands (many of the islands have uniquely evolved species of similar birds). Our limited time (9 Days), and our intent to not just have a good birding trip but an amazing vacation too, pointed us to selecting two main islands for the trip. 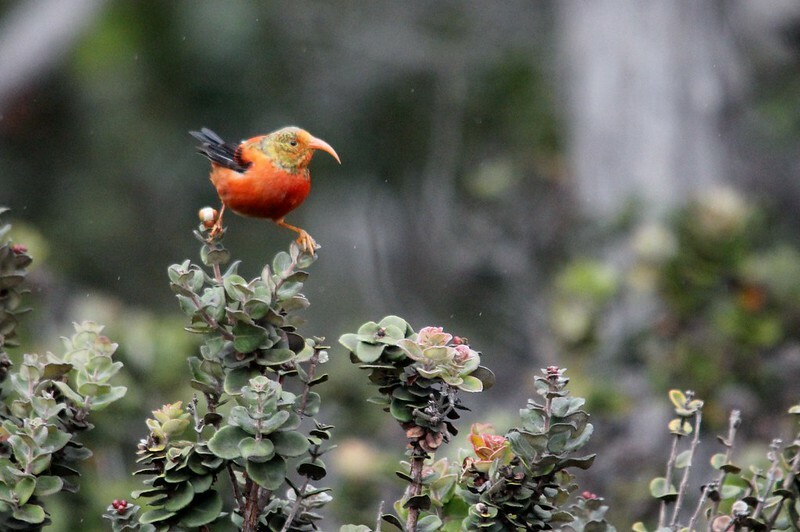 The wide array of birds and the Hawaiʻi Volcanoes National Park of the Big Island, and the absolute beauty and diversity of the species on the “Garden Isle” of Kaua’i eventually made the choice easy. Mau’i and Oah’u would have been nice too but would have to wait for another time. I am going to break up the blog posts into individual days or a section of days. This way I can display quite a few pics and then reference pieces later. 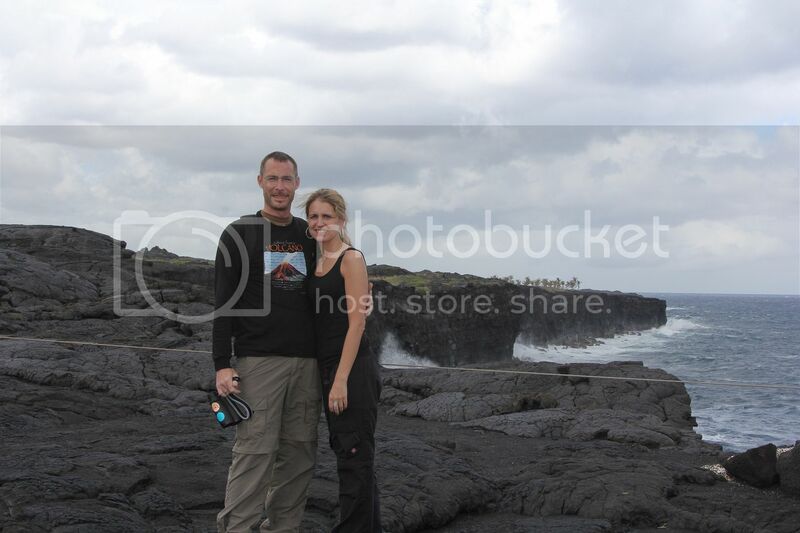 So, this initial post will cover our day and a half at Volcanoes National Park. I will also have all of the “good” pics up on our Flickr site, so you can always click the Flickr link to the right to see more goodness! So, off we went. A 5+ hour flight to Los Angeles and then a 5+ hour flight to Hilo on the Big Island had us in Hawai’i late Thursday evening August 30th. 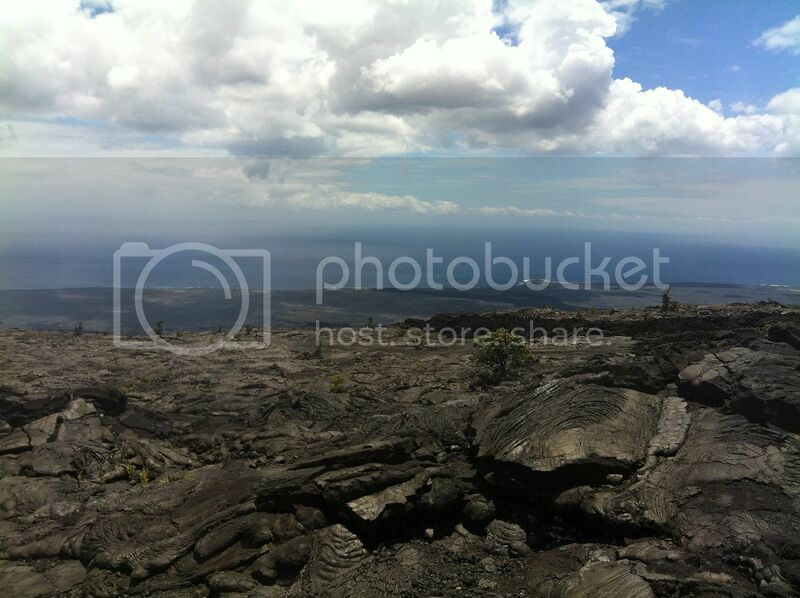 We would have all of Friday at the Volcanoes National Park and the surrounding areas. At first light, (being honest it was quite a bit before first light as the 6 hour time difference had Jeanette and I up in the early hours of the morning waiting to get our first day started!) we pulled together our gear and got ready to head out into the rain. We knew the area was frequently “wet,” but hoped the mentioned brevity of the showers would prove prophetic and grant us at least windows of sunlight on the sights and sounds of our first day. On our way out, we saw our first life birds of the trip. A flock of Nutmeg Mannikins, multiple Spotted Doves, and male and female Kalij Pheasants. 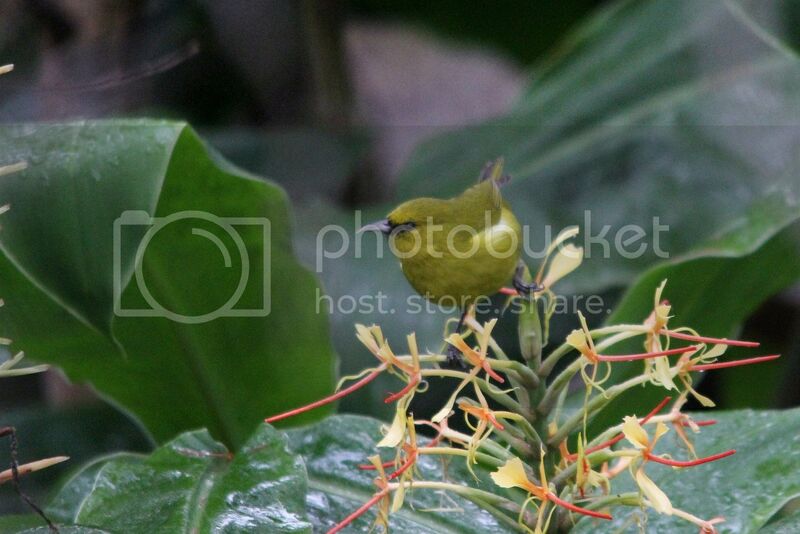 All introduced species to Hawaii. We pulled into the town of Volcano for breakfast and our first taste of Hawaiian culture over Pancakes with Guava butter (a common fruit “butter” encountered in Hawaii). 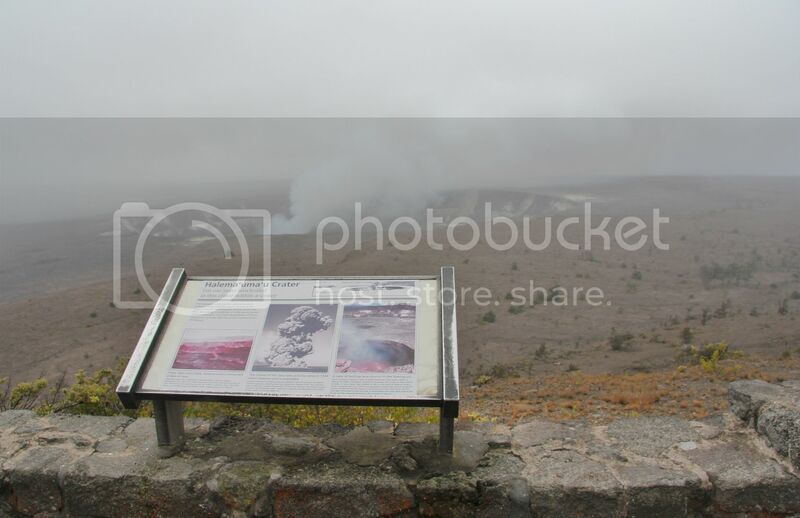 After a quick stop at the Kīlauea Visitor Center, we hit the Halemaʻumaʻu Crater, viewable from Jaggar Museum, and saw the beautiful caldera and its emitted steam plume surrounded by distant, circling White-tailed Tropicbirds. Kilauea Volcano Steam VentWe circled back past the Visitor Center before heading to the Thurston Lava Tube and had House Sparrow, Yellow-fronted Canary, and loads of Common Myna in the parking lot. 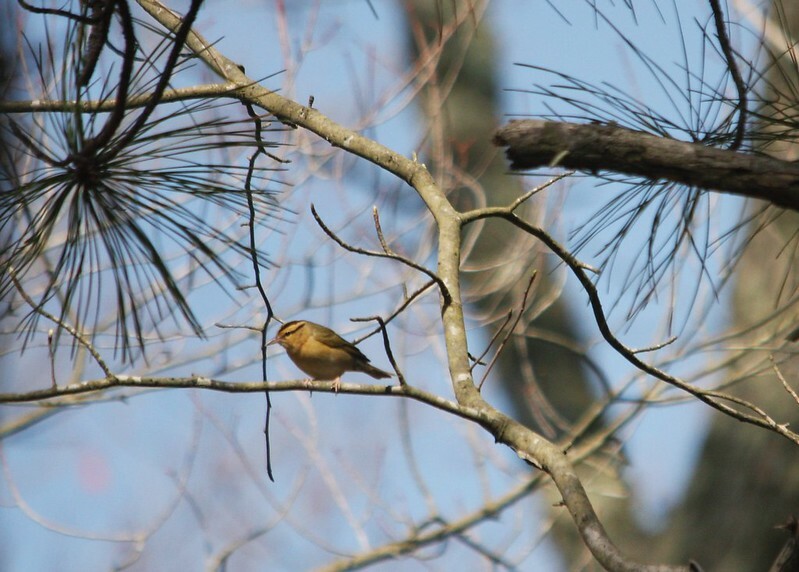 We also went across the street and had our first native Honeycreepers of the trip! Multiple ‘Apapane (juveniles included) and a Hawai’i ‘Amakihi! 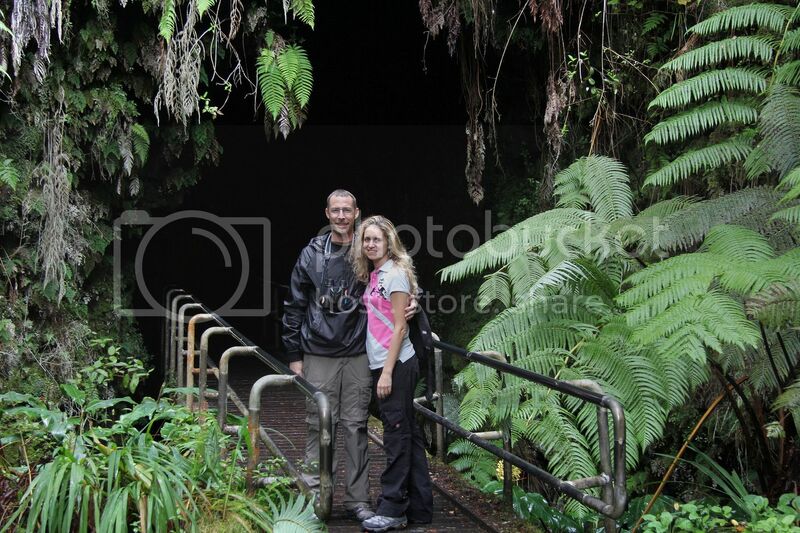 Our next stop on the Crater Rim Drive tour was the Thurston Lava Tube! 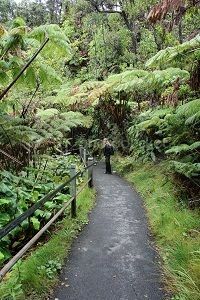 The forest began to grow thick and the huge ferns (Hapuʻu) became unavoidably evident roadside as we twisted down towards our destination. These fern forests are rarer and rarer with the fern being a favorite target of the wild pig. We counted ourselves lucky to see it in it’s current condition. The seemingly “pushed mist” (as opposed to pouring rain) from the trade winds lightly greeted our final approach to the lava tube. We had heard of the cave like ancient lava tube that you can walk through as a can’t miss and we were excited to see it! After parking we walked the wonderful little trail that takes you down to the Lava tube. We noted more Apapane and Amakihi and were blown away by the surrounding forest. The tube itself is an amazing glimpse at a lava distribution method and its hard not to find yourself imagining it full of the red hot lava rushing through. Another short hike back to the car and we were heading out down Chain of Craters Road again. The drive down Chain of Craters Road is stunning. It is a breathtaking view full of new sights for your eyes and mind to take in. Candy for the brain. We rolled past lava flows with signs identifying them from the 70s and marveled at the sheer enormity of it all. What a powerful force of nature! We wound down the road and took in the beautiful ‘Ōhi’a Lehua trees as they literally rose from the ashes as some of the first returning plant life. These trees are a key piece to the Hawaiian Honeycreeper puzzle and each time I saw one I was reminded of their resilience, even in the face of the tough odds of life on a Volcano. 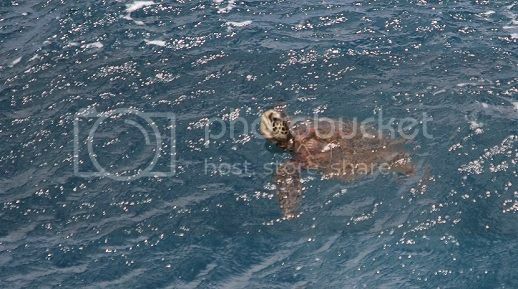 Its ironic however, that they are challenged elsewhere on the island due to their unique survival strategy. A lower root system while great for harsh, hard lava, did not bode well when Pigs and other animals were introduced to Hawai’i by humans. This strategy made them vulnerable to threats that they hadn’t naturally evolved to face. 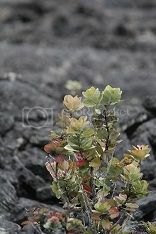 But these Ohi’a were persisting, and made their presence known throughout the scarred landscape as we headed down further towards the ocean. The sun had also made its appearance as we left the forest’s edge and this made the trip even sweeter. Chain of Craters Road As we came around one corner we got our first look at the Nēnē! Also known as the endangered Hawaiian Goose, I had imagined these guys from pictures in our field guides but seeing one was truly awesome! Unique to the Hawaiian Islands, the Nēnē is the State Bird and IMHO is one awesome looking Goose! This was the only Nene we saw on the southeastern side of the island. 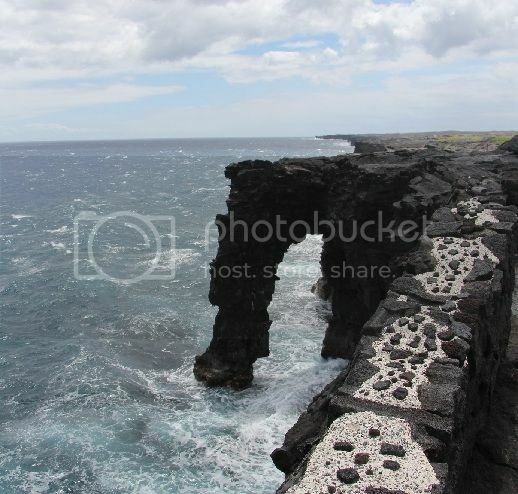 Our final stop would be at the end of the Chain of Craters road at the Holei Sea Arch. There we would meet the Pacific and see the road that was overrun by lava in 2004 pushing the current end of road about a mile before the lava. You can hike out to active lava (quite a hike of approx 8 miles round trip depending on the current lava flow) across the old road and possibly glimpse new lava creating new land! 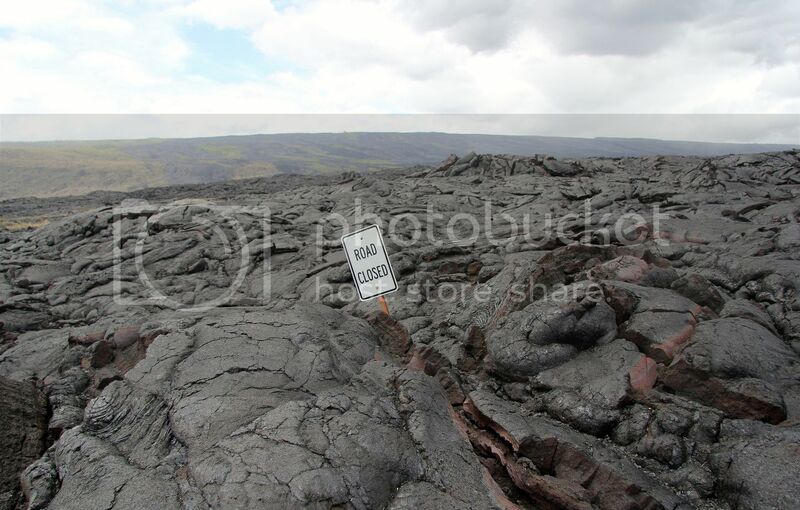 Road Closed…The hike is a long one and the lava can be tough to cross but the views are stunning. A blowing section of palm trees and a “Road Closed” signed engulfed by solid lava provide photo ops that can’t be missed. There was also a 40 foot trail from the Ranger station to the Holei Sea Arc where Hawaiian Black Noddys soar by and we saw our first Hawaiian Green Sea Turtle (Honu)! A beautiful opportunity for pictures at this wonderful spot too. It is sensory overload and it is amazing how quickly you become acclimated to such “strong” visuals. It never gets old but somehow it becomes more familiar. The power of a true natural beauty. 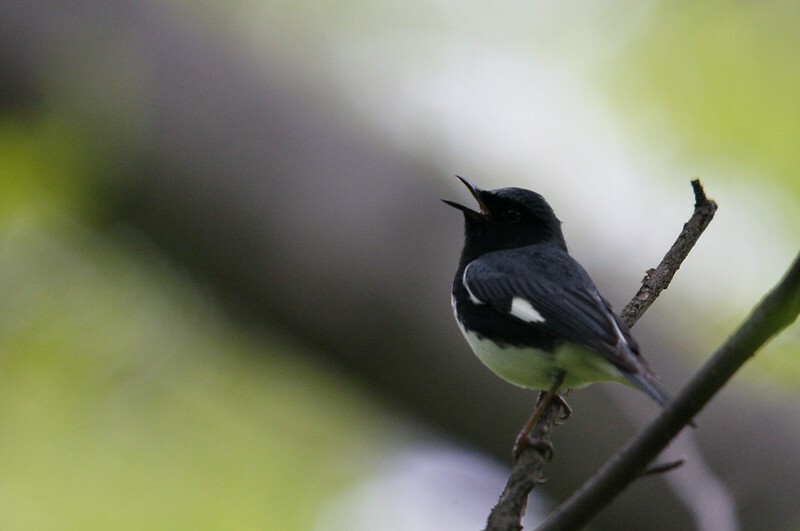 A good day for Warblers at Garret! 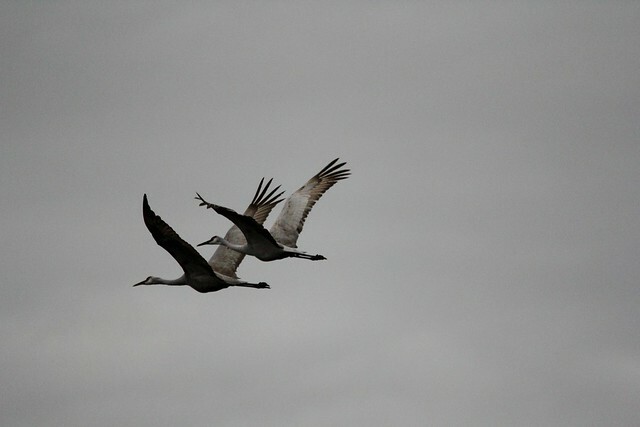 Still not great for pictures with the overcast setting the birds however did not disappoint. 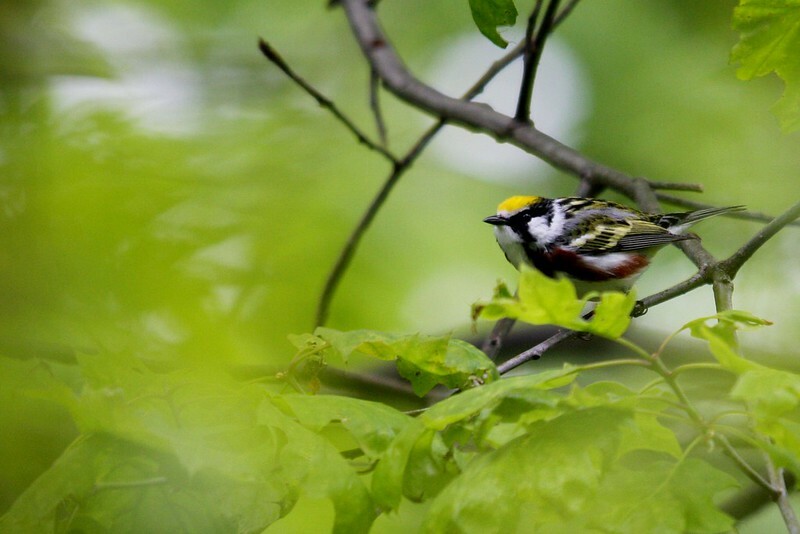 Blackpoll Warbler, Black-throated Blue Warbler, Chestnut-sided Warbler, Worm-eating Warbler, Hooded Warbler, Black-throated Green Warbler, Magnolia Warbler, Ovenbird all posed for photos today. In 30 minutes near the central picnic area (down the path from the castle) I had great looks at all these guys and all of them singing. Would have liked to take a more thorough look around the park but I felt lucky to even have Garret as a lunch time from work option! Birds were awesome today! 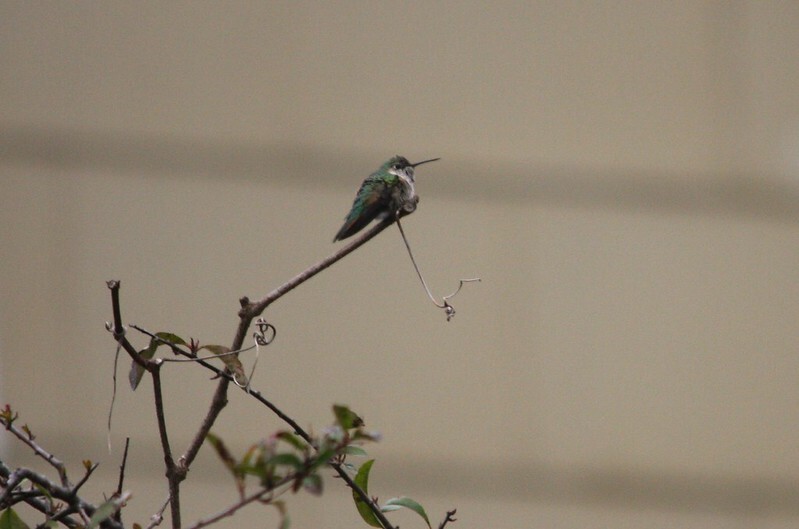 Jeanette and I took a drive down to Cape May yesterday to try to see the first New Jersey State Record of Broad-tailed Hummingbird. 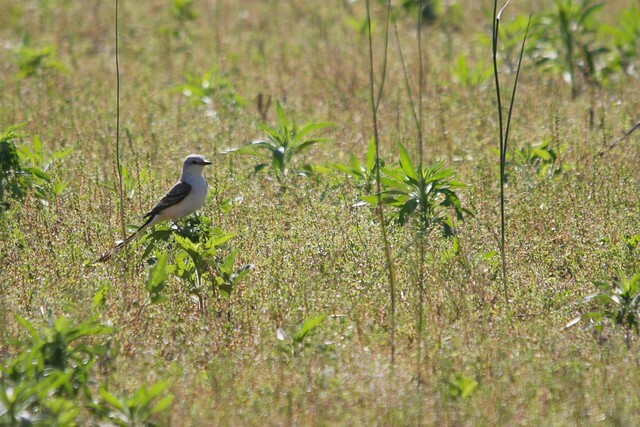 We had seen them in Arizona but to have one all the way out here is NJ is a true rarity so it was a must see. We got up early and hit Sunset Beach for the reported Western Grebe (another uncommon visitor to NJ) and got him right off the left side of the Concrete ship! We went back later and didn’t see it (later had Red-throated Loon, rafts of Scoters and a few Northern Gannets only) so we were glad we decided to to the beach first while the sun finished its mediocre rise (sorry Sun but your light was pretty crappy this morning. :)) After a little more sunlight and coffee we parked on Shunpike road and walked down to join two other birders there already. They hadn’t seen it yet but we were hopeful it was just a matter of timing. Sure enough, I saw a quick movement into the heavily obscured feeder and saw the bird rest oh-so-briefly on the right hand side pod. 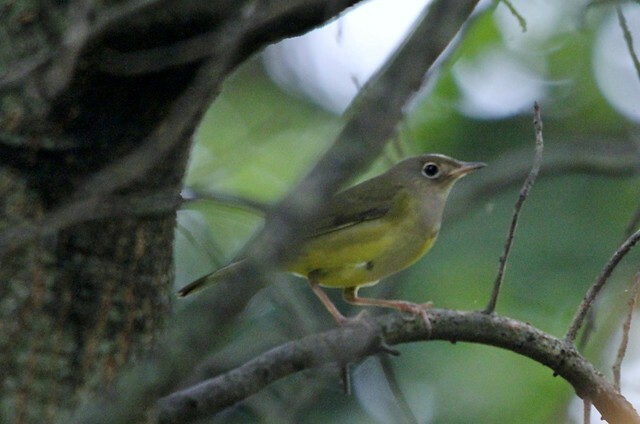 Luckily he came back and sat a few times on various bushes and small trees around the yard and the nice gathering of birders that had joined by then all left happy. 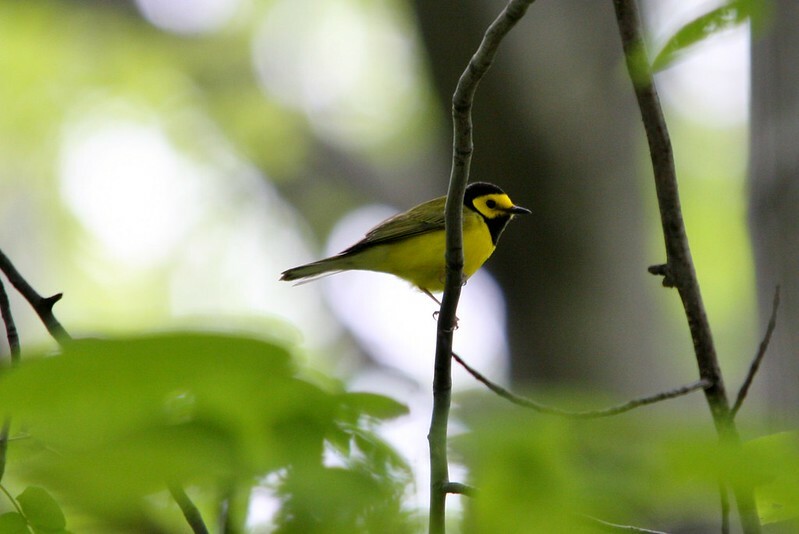 🙂 As always, thanks goes out to the hard working and diligent NJ Birders who kept working at this ID! Thanks for sharing this guy with us all! We also hit the Brig before arriving in Cape May and had a nice number of Ducks and Geese. 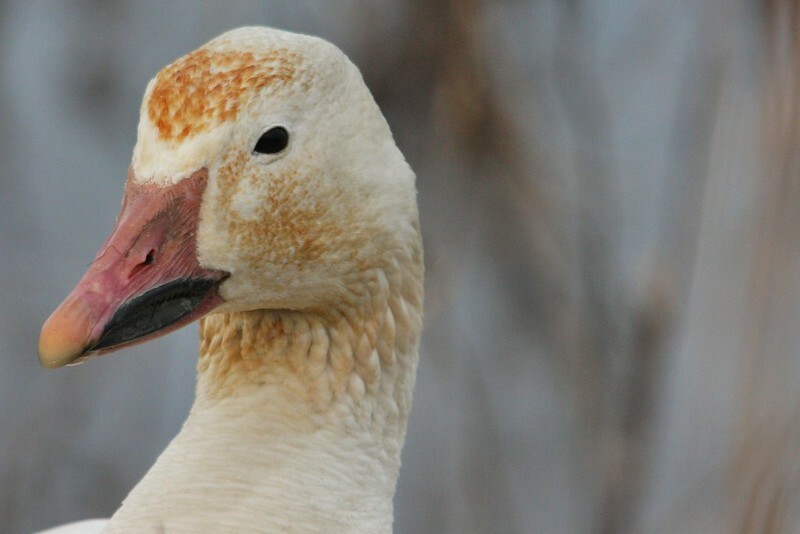 Below is a shot of a Snow Goose close by the road as we drove the Brig.